SugarCRM is the most innovative, flexible and affordable CRM solution on the market. 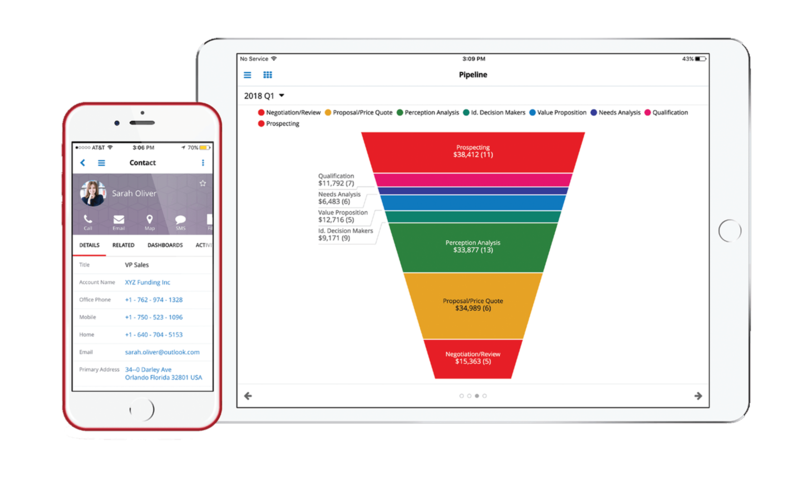 Unlike traditional CRM solutions that focus primarily on management reporting, Sugar empowers the individual, coordinating the actions of customer-facing employees and equipping them with the right information at the right time to transform the customer experience. And Sugar pricing is simple and affordable, so you can deploy it to all your customer facing employees, and know what it’s going to cost. Recognized by leading industry analysts as a CRM visionary and innovator, Sugar is used by more than 1.5 million individuals in over 120 countries. Sugar is a complete CRM solution that helps you grow your sales, deliver effortless customer care, and run more effective marketing campaigns without unnecessary complexity or feature overload. Sugar’s simple and modern user interface provides every employee with the right information, at the right time, before they even ask. This helps drive adoption, increases productivity, fosters collaboration, and enables better decision making. 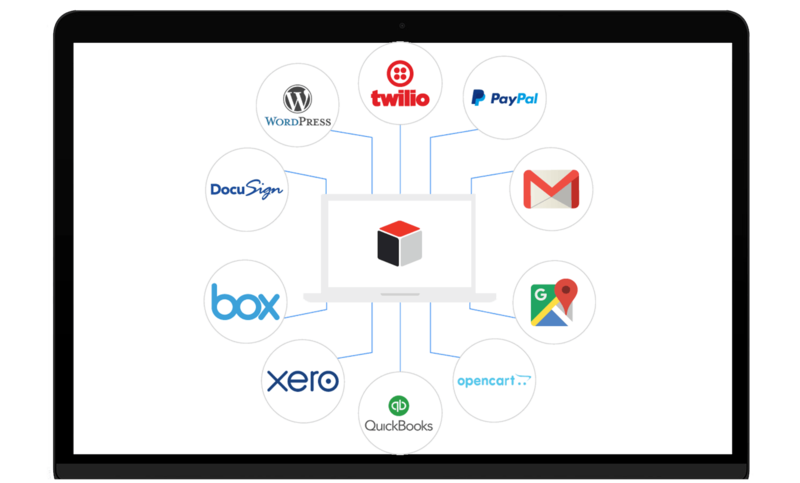 SugarCRM enables businesses to create extraordinary customer relationships with the most innovative, flexible and affordable CRM solution on the market. The company places the individual at the center of its solution, coordinating the actions of customer-facing employees and empowering them with the right information at the right time to transform the customer experience. 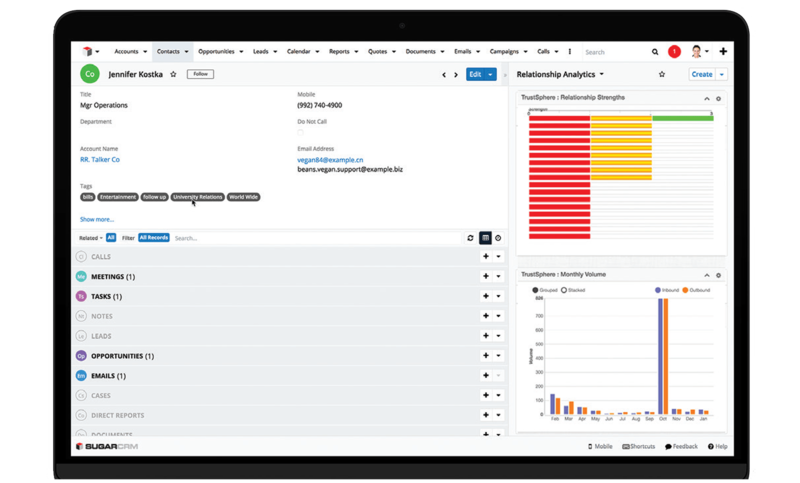 Sugar is built with the core CRM features that matter most and can be managed as a single, complete CRM system without requiring investment in additional technologies to build out your CRM platform. Sugar’s platform is built to drive ease of implementation and ease of integration. And with no hidden costs, it helps you realize quicker returns on your investment while reducing IT overhead and complexity.